What follows is a very subtle and significant smear job and it takes disinformation to a dangerous new level. Because while it reports the sacking of one “bigot” it strives to neutralise criticism of George Soros by insinuating that such criticism is motivated by “anti-Semitism”. This fails to address concerns about the type of movements that George Soros’ Open Society Foundation actually funds. These range from sponsoring Black Lives Matter, whose protests have often turned violent. To bankrolling a variety of causes that are generally liberal but have one purpose: to enable Soros to acquire political power and influence. This has nothing whatsoever to do with “anti-Semitism”. The accusation is simply used to silence some very genuine questions about the billionaire’s real motivation. 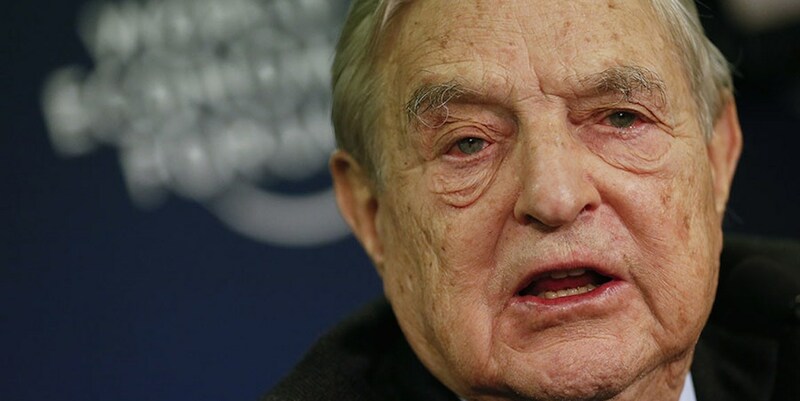 Why for example are Soros’ funded-organisations actively involved in funding migrants to Europe and the U.S.? Does he really want to help migrants? If he did you’d think he might start in Syria, which is only now recovering from years of Western backed strife. Hundreds of thousands of displaced Syrians are returning home to rebuild their lives but Soros isn’t helping them. As for Roger Scruton denying that “Islamophobia” was a problem: he may be right insofar as it’s not a genuine problem. Because we know that much of Islamophobia has been covertly cultivated by Western intelligence agencies in an effort to promote a conflict between Islam and the West. Think 9/11 or 7/7 or the way that Osama bin Laden was recruited by the CIA to become the face of global Jihad. Or the way the Manchester bomber, Salman Abedi, was part of an MI5 program that allowed British-Libyan citizens to freely travel to Libya to help topple Gaddafi, in exchange for becoming an informant for British intelligence. Indeed, it is often difficult to distinguish where Western sponsored covert operations end and real terrorism begins. Sure, you get the odd dupe who believes the subtle “War on Terror” propaganda and insults Muslims. But some like Brenton Tarrant, who was allegedly the “lone gunman” in the recent Christchurch massacre are assisted by other shadowy figures. For example, FOUR individuals were initially arrested after the Christchurch shooting, Brenton Tarrant among them. What happened to the other three? Were they helping him? Dawn Butler, (the shadow equalities secretary who considers trans “women” all-female), said Scruton’s new comments were “despicable and invoke the language of white supremacists”. and were both paid to give info on other jews. dawn butler does not have a future because she is an uninformed Clone like All the rest of the Clones of Teresa May’s Cabinet. This used to be called poofeteering, its upsetting for the boys and us the parents. 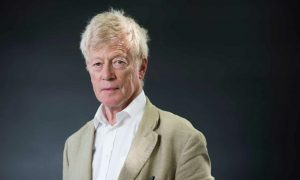 If there are peope who have not yet seen British parliament as ZOG, they cannot but see it as that after it sacked Professor Sir Roger Scruton. The insult to Sir Roger is earth-shaking, particularly since he was lending without charge to the silliest of governments, the current British one, his substantive knowledge of good modern urban building. How dare this brilliant, prominent, hugely impressive, highly respected man of great achievement remark on the obvious when that is not good for Jews?